When you are planning a vinyl roof deck building or renovation project, there can be a lot of confusing terminology. 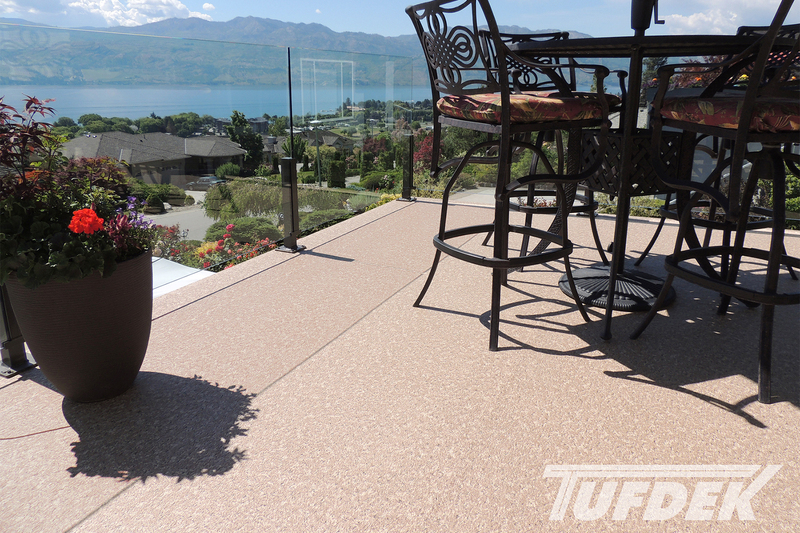 To help you, Tuff Industries has pulled together some of the important principles behind roof deck construction, so you can be better informed and make the best choice for your home or commercial vinyl decking project. Understanding each of the Six D’s can help you and your contractor make choices about materials and construction to build the best vinyl roof deck possible. So, with that in mind, let’s dive in and learn all about the Six D’s of vinyl roof construction. This term refers to how your vinyl roof deals with water, ideally making sure that all water flows away from the building envelope. 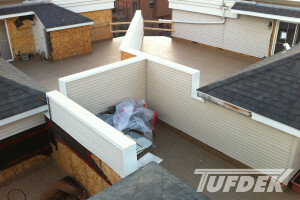 There are many factors that affect deflection, such as the slope of your roof deck, drip edges, and the overhang of the vinyl deck which protects the underlying structure. In most cases, a simple drip edge can be used to divert water correctly. Drainage: Where’s the Water Go? Drainage is vital to siphoning water away from the building envelope and foundation of your home, which involves using moisture barriers along with detailing around wall openings or posts. For example, flashing needs to be incorporated along with the waterproofing membrane, wall membrane, and wall cladding to avoid leaks and water damage. Posts also must be finished using a waterproof barrier and siding. Any drains need to slope towards the edge of the deck to prevent water from pooling. Keeping your vinyl roof deck free from standing water is paramount to extending the life of your deck as well as protecting your home from water damage, mold, rot, etc. Drying: It Needs to Breathe! When water has access to an area of a roof deck, housing, or underside, it is vital that there is adequate air flow to dry out the structure quickly. Otherwise, you might be faced with deck damage caused by rot and mildew (not to mention potential health and safety hazards). While even the best building plans may not be able to restrict water from entering every single space, venting and circulation will ensure that any dampness or moisture build up does not become a problem. Durability: How Long Will the Vinyl Roof Deck Last? Ensuring a long-lasting waterproof decking surface means finding a durable vinyl membrane – one that can stand up the rigors of people, pets, and shifting weather. A waterproof roof deck membrane that is thermally welded to the roof surface and creates a 100% watertight deck that can stand up to the test of time, as well as whatever a family can throw at it. This is one step of the roof deck building process that you never, ever want to skimp out on, as it could cost you thousands more in the long term if you select an inferior vinyl surface. A great roof deck is all about the details, which can make the difference between a beautiful, long-lasting vinyl deck and one that uses shoddy workmanship and is at risk of failure. By employing a qualified contractor, you can ensure that all the details are completed to exacting standards. Beyond that, you can use your own personal preferences and aesthetics to create a roof deck that feels like an extension of your home. This refers to is the use of high-quality materials and specific building practices to ensure a long-lasting waterproof surface. By considering deconstruction at the beginning of the vinyl roof deck construction process, certain materials can be added that can be quickly and easily replaced, without risking damage to the vinyl roof deck surface. What you’ll end up with is a fantastic final product that will be long lasting, as well as being easy to replace when the time comes a few decades down the road. Now that you know more about what goes into creating a high quality roof deck, perhaps it’s time to plan a renovation? 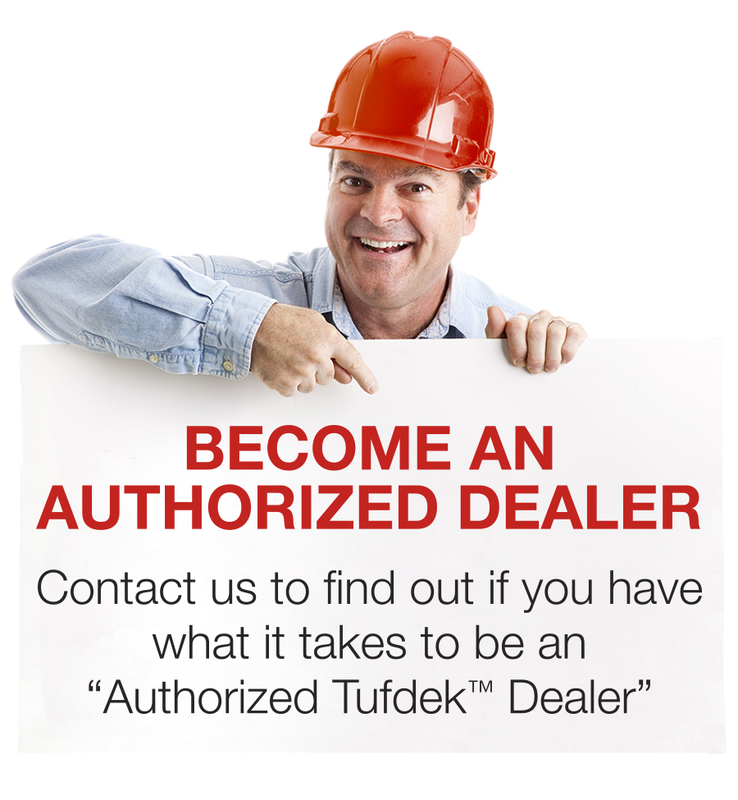 The folks at Tufdek™ can help – talk to a dealer today.